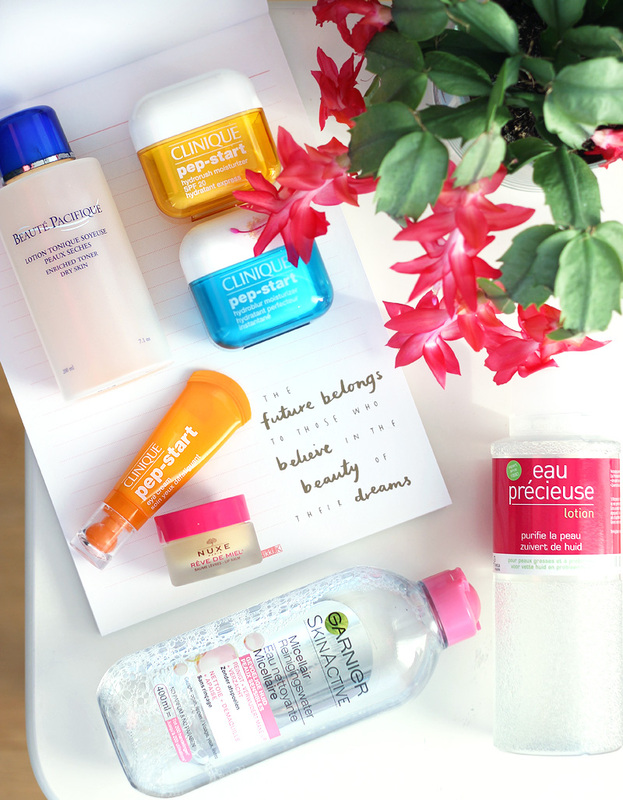 New seasons call for new skin care routines. During the winter time I like to be extra gentle with my skin. I have combination skin, but while my T-zone can get oily my skin can feel very thirsty at the same time. Now that the weather is getting colder and I've had a cold for a few days, my skin is having an existential crisis and decided to be all dehydrated again. 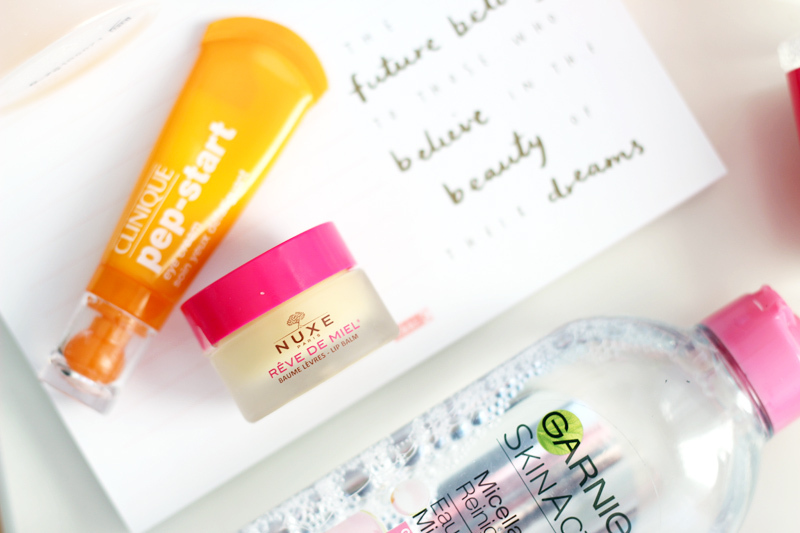 So it's time for a winter skin care update! 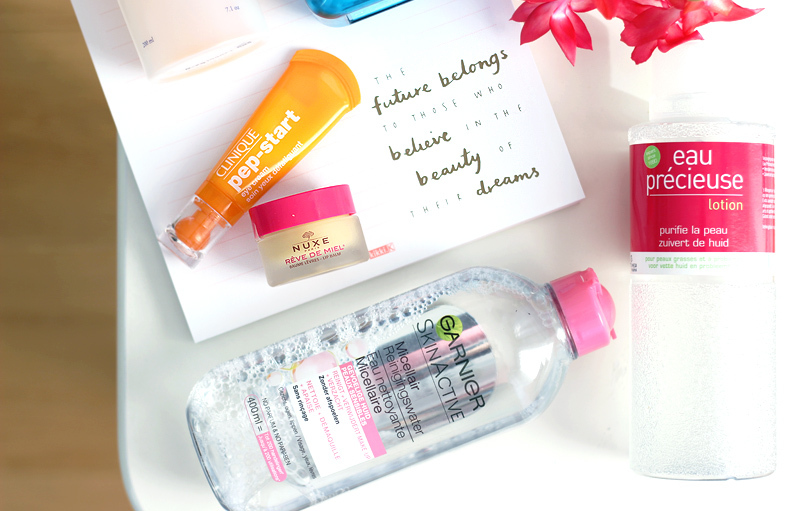 I started off the morning with a very gentle cleanse, using my trusted Garnier Micellar Water for Sensitive Skin. I do a thorough cleanse every evening, so I don't want to aggravate my skin too much by going in with a gel cleanser again. This micellar cleanser is the best one on the market now price-quality-wise - I've tested quite a few but have always come back to this one. I follow up with my Eau Précieuse lotion, formulated with boric acid & salicylic acid this one purifies my skin, tackles blemishes and leaves my skin in a great condition to soak up serum and moisturiser. Then I go in with the Beauté Pacifique Enriched Toner for Dry Skin which does exactly what the name says it does. The texture is very creamy, it immediately quenches my skin and leaves it feeling very comfortable. 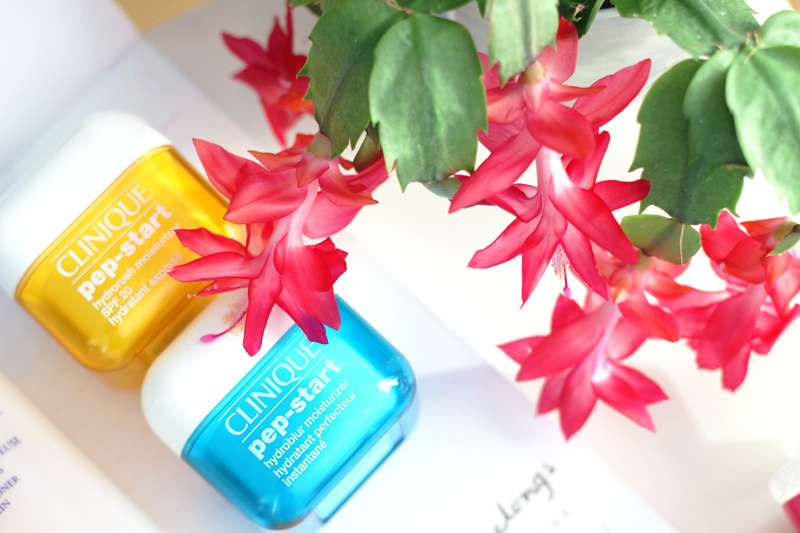 For moisturiser I've been testing the new Clinique Pep-Start moisturisers. 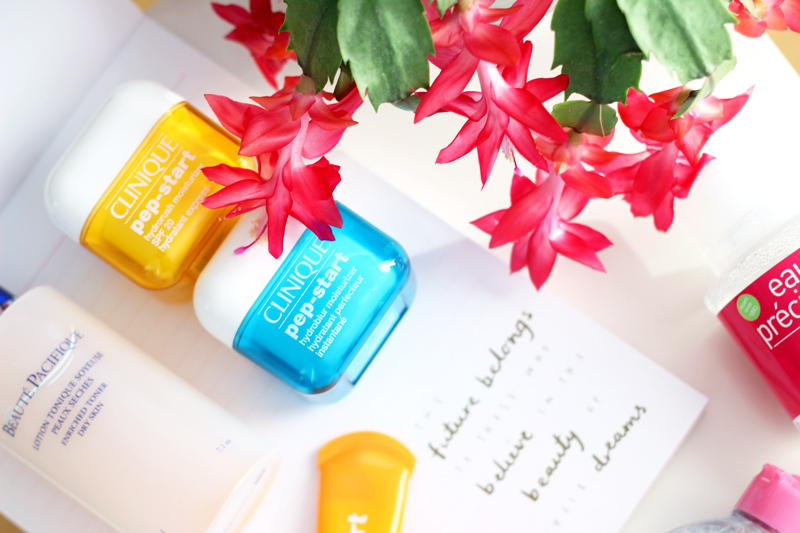 As I really like the Pep-Start eye cream, I figured I just might also really like the new additions to the range. These are both formulated for all skin types, but I think normal & combination skin types might benefit the most from these. Both are quite hydrating but also regulate sebum production. The yellow jar - Pep-Start Hydrorush Moisturizer - is definitely the heaviest in texture, being quite creamy and also containing an SPF20. I love the glowing effect on my skin though, it's seriously pretty to use when you don't wear any makeup but still want some glow. The blue jar - Pep-Start Hydroblur Moisturizer - is quite thick in texture and will blur bigger pores and imperfections as you smooth it out on your skin. This one is awesome to use before makeup, as it creates the perfect smooth base to work on. The only downside is that you'll have to add a separate SPF here, as it doesn't contain any. Underneath my eyes I'm still using Clinique's Pep-Start Eye Cream, which is absolutely amazing. My under eye area can be quite dry & when I don't hydrate well enough, it shows when I apply concealer & setting powder. This one though is super hydrating and also smooths out the area, making for a great makeup base. I'm on my second tube now and I'll definitely be buying a third one & beyond. Finally on my lips I apply Nuxe's Rêve De Miel. I bought this one on a whim at the pharmacy as I loved the limited edition packaging and I was experiencing chapped lips, but it's definitely the best impulse purchase I've done in a while. It's without a doubt the best working lip balm I've used. I'd definitely recommend it if you have dry lips, it's a true miracle worker and will relieve painful chapped lips in just a few days. I'll be following up on this post with an update on my evening skin care routine as well, so stay tuned for that!